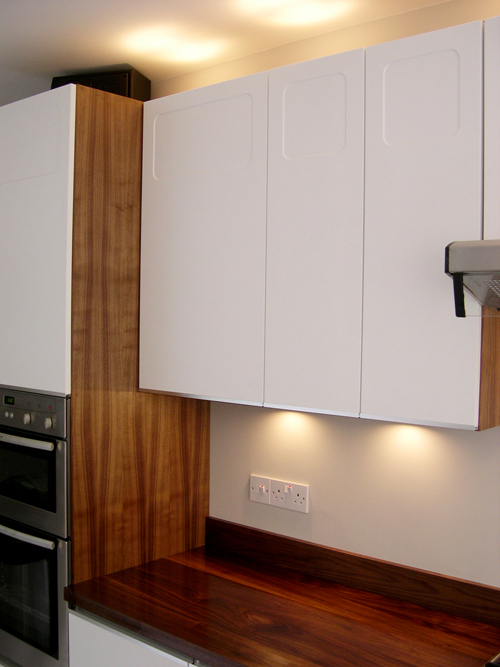 Clean white sprayed doors with extruded T6 aluminium door pulls bring out the best in the oiled walnut tops and cabinetry. A UNIQUE DESIGN WITH A MINIMAL LOOK. 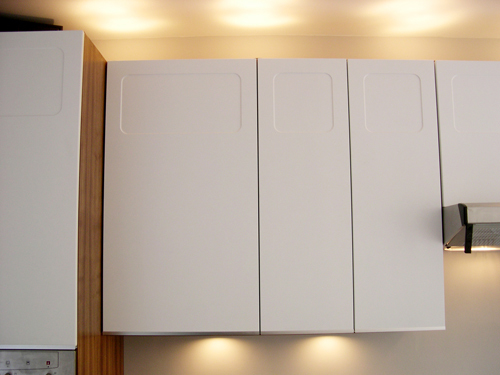 The extra tall 900mm high wall units really increase your storage area. 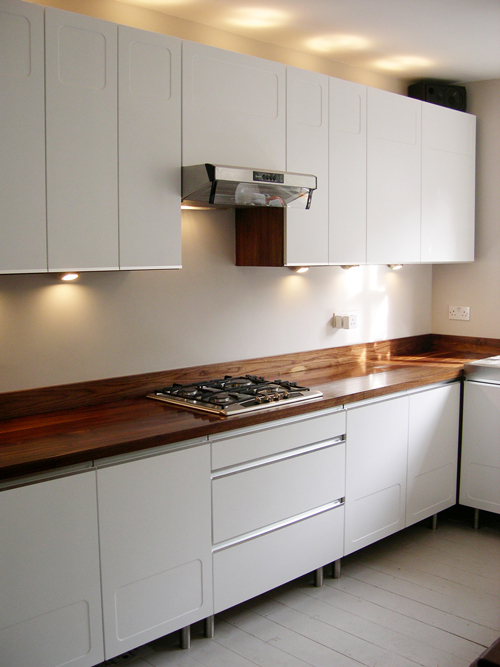 The walnut cabinetry creates a strong durable carcass that ages with character.